The members of the Russian biker club Night Wolves are planning to ride through Minsk, Brest, Wrocław, Brno, Bratislava, Vienna, Munich and Prague to mark the 70th anniversary of the Soviet victory over Nazi Germany. The rally started April 25 and is to end on May 9 in Berlin, where the Russian bikers want to lay flowers at the monument to the Soviet soldiers at Treptower Park. The bikers' plans have stirred controversy in several European countries even before the start of the rally. The Polish Foreign Ministry officially banned the Night Wolves from entering Poland, while Germany refused to issue entry visas for top members of the Russian motorcycle club. 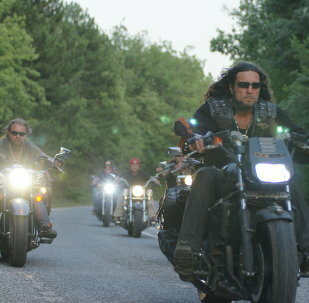 However, the head of the Night Wolves said the club would not change the route of its journey to Berlin. The bikers have reportedly entered Bavaria and are going to visit the former concentration camp in Dachau. Russian bikers from the Night Wolves club were allowed to proceed with their Victory Day journey after they were stopped and searched by the German police on the highway near the city of Munich late on Sunday. Two bikers participated in the ceremony. Nearly 500 visitors came to see the event. The ceremony was also attended by Russian Ambassador to Austria Sergei Nechaev. Two members of the Night Wolves motorcycle club have been let into Finland, Finnish television and radio broadcasting company Yle reported Saturday. 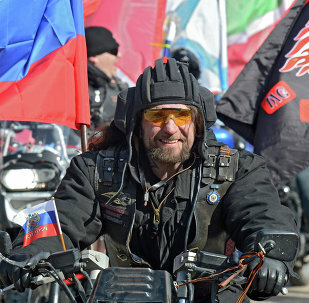 The leader of the Night Wolves, Alexander "Surgeon" Zaldostanov, said that not only Russian bikers had been denied entry to the EU, but a group of Belarusian motorcyclists had been banned by European authorities as well. 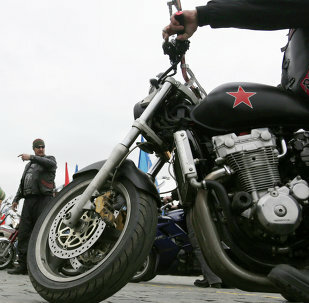 Speaking to Radio Sputnik, well-known Polish biker and Katyn Rally Commander Wiktor Wegrzyn stated that out of respect, Polish bikers will trace the route of Russia's Night Wolves through Poland, adding that the scandal surrounding the Russian bikers has been blown up to exacerbate a larger Polish-Russian conflict. Russia's Foreign Ministry told Poland’s ambassador Katarzyna Pelczynska-Nalecz that Warsaw’s decision to refuse entry for the members of the Russian motorcycle club the Night Wolves is an "unreasonable and provocative action." Finnish border control officials have been on the lookout for Russian bikers following rumors that members of the Night Wolves motorcycle club may attempt to reroute their planned ride to Berlin via Finland. Mateusz Piskorski, a Polish expert from the European Center of Geopolitical Analysis, spoke to Sputnik in an exclusive interview regarding the orders to Polish border guards to deny the Russian motorcycle club, Night Wolves, entry into their country. Poland has denied the motorcycle club "Night Wolves" entry as the Russian bikers had planned to commemorate the 70th anniversary of the Soviet victory in the Great Patriotic War by organizing a journey from Moscow to Berlin. Several hundred bikers, all members of the Night Wolves club, arrived at the Polish border town of Terespol earlier on Monday. After being searched, Polish border guards denied the bikers entry, claiming their visas were incorrectly filled out. 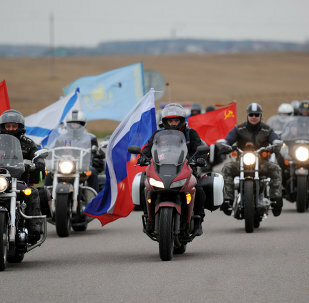 Members of the Night Wolves motorcycle club are taking part in a journey from Moscow to Berlin to commemorate the 70th anniversary of the victory in the Great Patriotic War. Germany reportedly refused to issue entry visas for top members of the Russian motorcycle club the Night Wolves, set to ride across Europe and reach Berlin on May 9. The German Embassy in Moscow had previously issued ten travel visas for the Russian biker club "Night Wolves", according to the German newspaper “Das Bild”. The Czech Foreign Ministry banned Russia’s Night Wolves biker group from entering the country, Czech radio reported Saturday. Bikers from the Night Wolves motorcycle club had planned to ride through Poland on a journey to Berlin to mark the 70th anniversary of the Soviet victory over Nazi Germany. Warsaw has officially banned Russian bikers from entering Poland during their planned trip to Berlin for Victory Day. Bernd Schade, a German church minister and motorcyclist calling himself the 'Biker Pastor', says that German authorities and media are exploiting a Russian motorcycle club's planned trip to Berlin for Victory day for their own political aims.